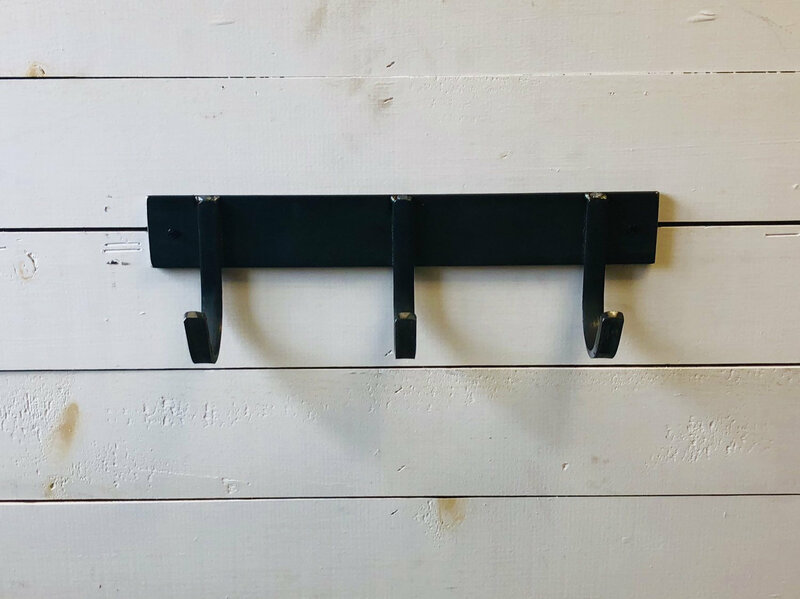 Beautifully handcrafted and made to order, our industrial farmhouse steel coat rack is a great addition to any foyer, mudroom, pool house or even back of a door with one of our shorter lengths. 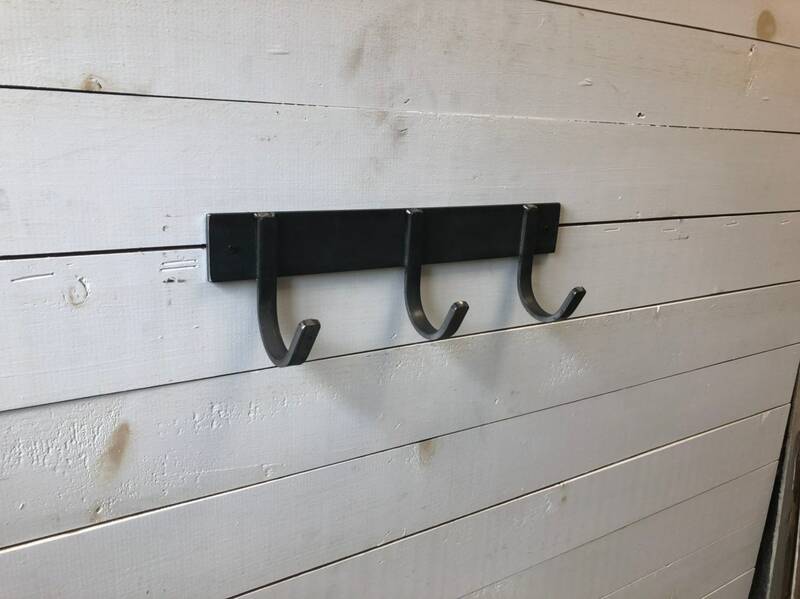 The 2” wide flat bar base mounts flush against the wall with 1/2” wide single hooks meticulously welded on it. 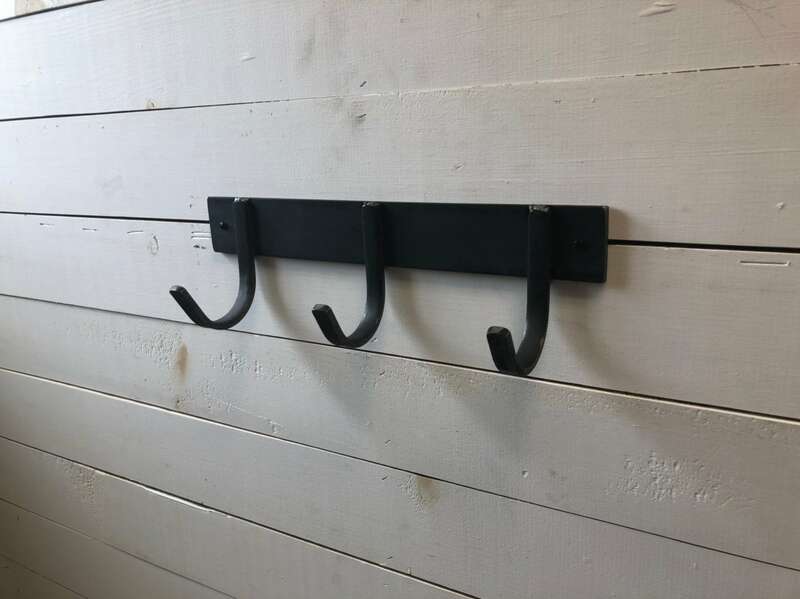 Comes in your choice of 8 different lengths so the number of hooks will vary depending on length chosen (please see below). The black / grey steel is sprayed with a matte clear coat finish. 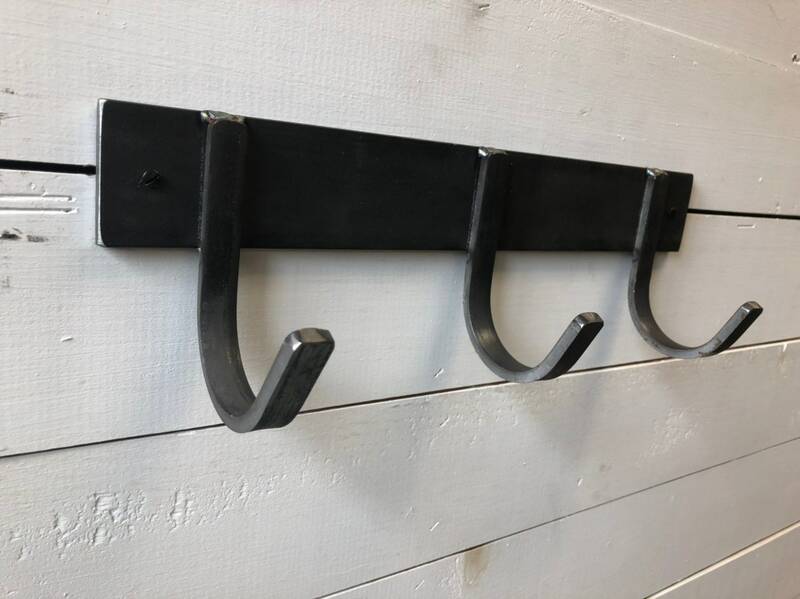 Handmade in the USA using locally produced steel. Free shipping within the US! 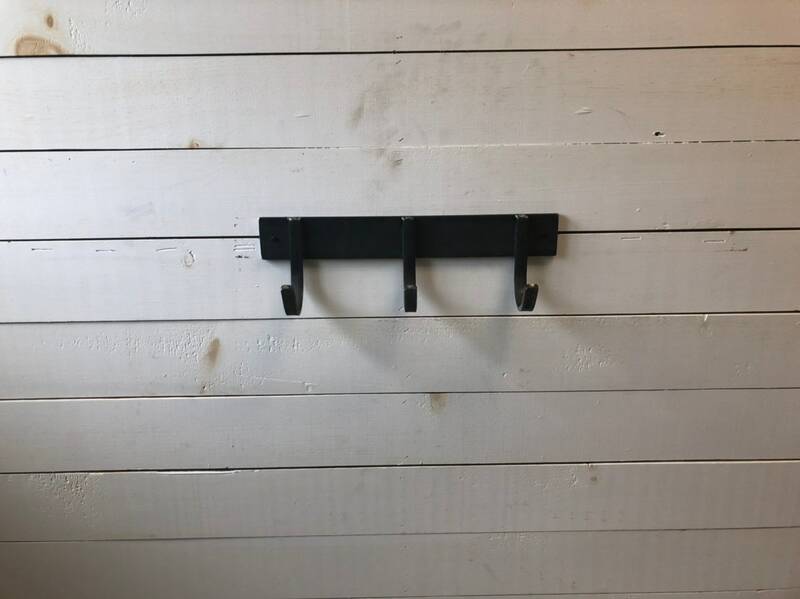 If you have any questions regarding this coat rack, or would like a custom order in a different size, simply hit the “Ask a Question” button next to the price and we will get back to you within 24 hours!